However, another EcommerceBytes reader told us that one of the value propositions of using Amazon Shipping, in addition to 7-days-a-week delivery, is seller protection: if there's a problem with delivery due to Amazon, merchants' seller ratings aren't impacted - and it offers one-click submissions for claims. 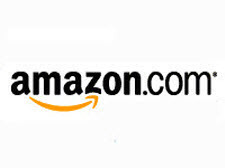 Last week, research site TJI (This.just.in) reported that Amazon has expanded the program. "We do not know how many sellers Amazon has invited, but Amazon does appear to have expanded the geographical reach of warehouses it will originate shipments from, as we are hearing that the system is now live for invited sellers shipping from the New York, Los Angeles, and Chicago vicinities." Some readers had said in February that they were pleased to see competition enter the shipping-carrier market with the hope it would slow the ever-increasing costs of shipping. Others expressed concern about using it, including the potential for lost packages. Offering seller protection might ease some of those concerns. So why isn't this same seller protection on all carrier shipments? Amazon should know that it isn't a sellers fault if a package is a day late. Makes sense for AMZ to do this. It rules the world right now.